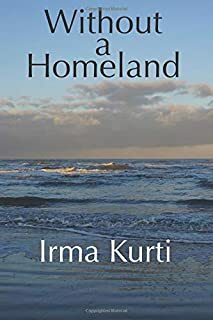 Description: Without A Homeland is Albanian songwriter Irma Kurti’s fourth collection in English. In these poems, Kurti explores her life as a dual citizen of Albania and Italy. She searches her past and sings celebrations of her parents who influenced her and imparted their wisdom. She writes of grief in eloquent passages and reminds the reader not to take human life for granted. Her poetry is both of place and being– exploring the inner continent of emotion and passion, as well as the beauty of Nature. Bio: Irma Kurti is an Albanian poetess, writer and journalist naturalized Italian. She is also well known as the lyrics writer of many famous Albanian songs. Her books have been translated into Italian and English. She has received numerous literary awards in Italy and Switzerland. In 2013, she won the IX Edition International Prize Universum Donna (equivalent to Woman of the Year) and the Ambassador of Peace nomination from the University of Peace in Lugano, Switzerland. Irma Kurti has published seventeen books in Albanian language, eleven books in Italian and three in English. She lives in Italy.